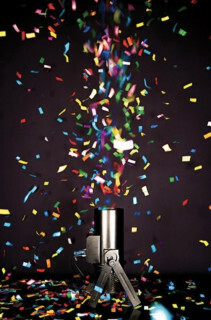 Funfetti Confetti Machine hire. 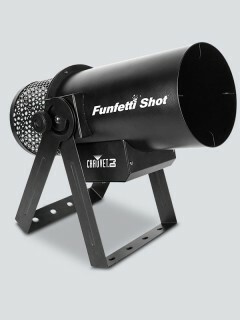 This machine is now available to hire for your next event.The Funfetti Shot is an event-ready confetti launcher and its easy, single person setup and operation make it perfect for concerts, parties or other special events. Just add confetti! No compressed air or CO2 required, it is also supplied with a wireless remote making that special moment even easier. Treat your guests to this incredible effect at your next event. All you need to do is add the type of confetti you require click here for White, Multi Coloured, Silver Mirror or Gold.